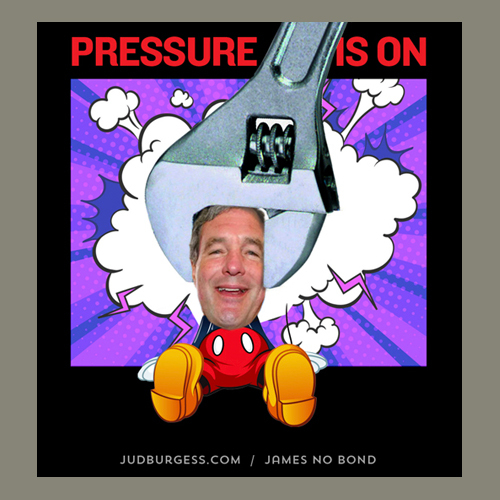 Visit my James No Bond blog on Facebook to see original posts with public comments which are always fascinating to read. Dee Margo has had his fingers in Texas’ and El Paso’s educational system for several years now. Margo, who says he’s an El Pasoan before a Republican, was a GOP state representative/lawmaker and part of the state budget writing committee in Austin in 2011, who voted for massive budget cuts to Texas’ public school systems. Major PR fail by mayor Dee Margo and city council when El Paso makes the negative national news radar last week...TWICE. 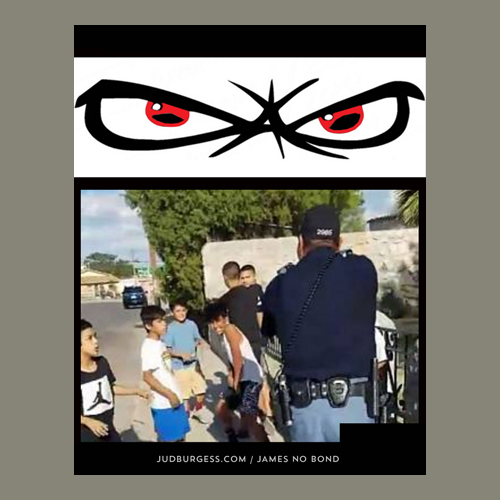 Jud Burgess, Eric Stoltz and a Mr. Fierro challenge their inability to accept criticism and allow free speech by El Pasoans while allowing sickening and dangerous hate speech directed towards El Paso’s LGBTQ community to go unchallenged. I wan da sport aweena now!!! I found the Trump / mayor Dee Margo graphic on the internets and added the blurbs. THANK GOD for the constitutional American right to satirize our leaders without threat of jail. Tuesday, February 5, is the day when up to 11 of Billy Abraham’s derelict properties are scheduled to go up for auction according to recent press. When mayor Margo and city council team up with ex-con Billy Abraham to buy his neglected properties, everyone loses except the devil. lWhy did our property taxes skyrocket? ASK THEM. Watch and share this EXPLOSIVE VIDEO that exposes the conversations between city leaders as they plan to “help” the Central Appraisal District” get higher valuations for our homes so they can get hundreds of millions in additional taxes every year to pay for their over-budget projects. Pay close attention because this affects us all. Vote these tax hungry politicians out of office on election day. Email them (video has list at the end) and let them know you are sick of being abused by their overtaxation of El Pasoans. We are in TAXPAYER HELL people. And they have no plans to lighten up until they've taken our last nickel. Dee Margo has engaged in so many kinds of abusive, secretive, illegal, unethical and ignorant kinds of behavior during his short tenure it boggles the mind. Will El Paso mayor Dee Margo condemn the Republican separation of children from their asylum-seeking parents in Tornillo? My new 20 minute film reveals how Dee Margo failed to represent El Pasoans and immigrant families who are separated from their children while hosting a delegation of protesting mayors across America here in our city and in Tornillo. When I heard mayor Margo was going to host a non-partisan group of 20 American mayors who are fighting against Trump’s zero-tolerance policy that abuses immigrants, I had to wonder just how he would represent our city and the situation at hand. I felt that given his track record he would avoid speaking any message of compassion and empathy towards the asylum-seeking immigrants that are being turned away at the bridge and being separated from their children. He was more concerned about facts and figures, GeeOhP talking points, unintelligible political nonsense, with hardly a word said about the humanitarian crisis happening here in our corner of America. Thank God for the visiting mayors because they spoke truth and power against this sad chapter in our country’s history. They drill down to the essence of why this cannot be allowed in a country that is built on a foundation of immigrants and inclusion. Be moved by their words and remember to always welcome the stranger as you would want to be welcomed yourself. Officer Jose Rios is not that cop. I give rising star journalist Aaron Montes his well-deserved praise and pick apart mayor Dee “hold the line on taxes” Margo for his continued public exhibitions of paranoia and bully-pulpit abuse towards those who oppose him. “Margo was whining in this letter and accusing Mr. Montes of bad practices for a journalist because Aaron followed him into the restroom to talk to him. And to me, I love that about Aaron. ** Montes did not enter the bathroom, but rather waited outside by the 2nd floor conference room. Is El Paso mayor Dee “hold the line on taxes” Margo a man of his word? You may remember Steve Ortega as being one of the original city leaders that were at one time willing to apply Eminent Domain to large swaths of El Paso’s Segundo Barrio in an effort to Starbucks-ize and culturally cleanse the neighborhood to make it more appealing to tourists and shoppers according to them anyway. City Rep Claudia Ordaz Perez Claims Anyone who Disagrees with Her is a "Disruptor"
At a recent forum hosted by El Paso Realtors Ordaz claimed that her role is to “power through” the "difficult decisions" that primarily benefit her wealthy developer contributors. WHEN YOU VOTE consider who these policitians represent. Millionaire money buys political loyalty. There is a reason Svarzbein, Lizarraga, Perez and Salcido accept large cash donations from mayor Margo and his MILLIONAIRE/BILLIONAIRE investor friends...and it has nothing to do with the average overtaxed El Pasoan. And vote their challengers in...it's time we had fiscally responsible city council reps fighting mayor Margo's Borderplex Alliance agenda that keeps El Pasoans struggling under American's 2nd highest property taxes.